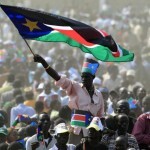 The ongoing civil war and the growing famine make it difficult to envisage the road to peace in South Sudan today. What is the status of the international humanitarian response? What are the prospects for dialogue and for revitalizing peace talks in the country? What is Canada doing in that difficult context and what could ordinary Canadians, including the Diaspora, contribute? Alan Hamson has been Canada’s ambassador to South Sudan since 2016. Prior to that posting, he served in China, in Afghanistan, in Colombia, and at the Canadian Permanent Mission to the UN in New York. Mr. Hamson has an LLM in Human Rights Law from the University of London and is a graduate of the National Security Programme at Canadian Forces College. The event will be chaired by uO professor Stephen Baranyi. In English, free, limited seats.